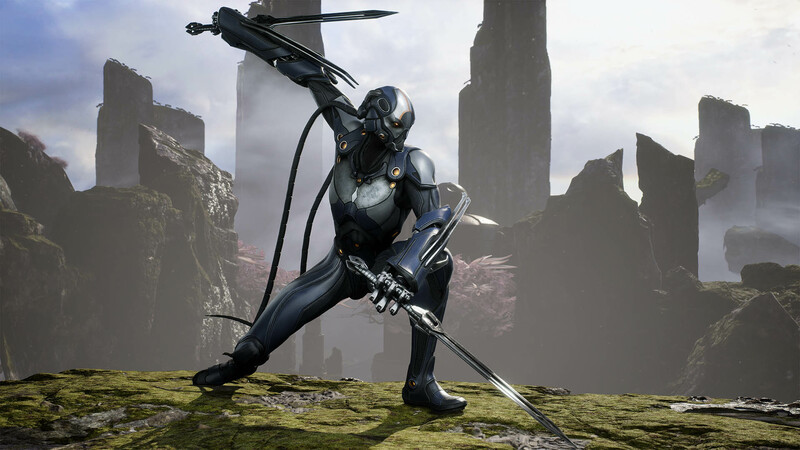 Kallari is a melee assassin. She has amazing gank potential due to her stealthy approach combined with hard hitting skills. The moment she hits level 5, its almost guaranteed to get a kill on your lane target. This is offset by her low health pool which requires players to plan their attack properly. Get her rolling early game and Kallari will become a complete nightmare for the enemy team. Kalaris basic attack. Fast slashes with her dagger. Kallari back flips into the air. Can be activated again to flip even higher. Kallari turns invisible, entering the Shadow Plane. She has an audio cue when she is nearby enemies. When Kallari kills an enemy hero, the cooldown is reset. People inside invisible pools can also see Kallari while in Shadow Walk. Kallari throws a dagger dealing damage and applying a bleed that deals damage over time. 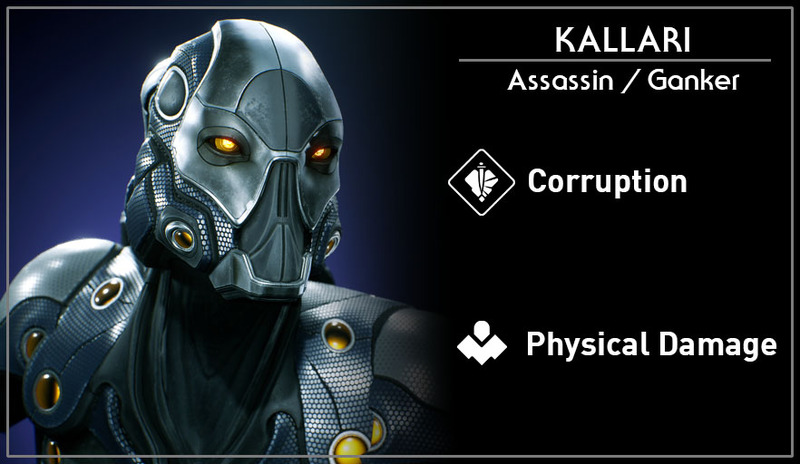 Kallari dashes forward a short distance dealing damage to any enemies passed through. Death Sentence ignores armor to enemies under 25% health, therefore dealing pure unmitigated damage.